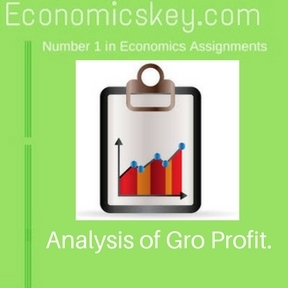 Home » PROFIT » Analysis of Gro Profit. The understand the true we of profits i to analyse the gross’ one of the entrepreneur into i various component parts. Gross profits stand for the total eamin of the entrepreneur, not necessarily for the entrepreneurial functions only. It is a mixture composed of several elements. Prof. Walker was the first economist to draw the distinction between interest and profit in this mixture. According to him, the entrepreneur’s income consists of two elements only, viz .. interest and profit. There have been further refinements, in modem times, of the several items which pure profit, however, is the return for the entrepreneurial functions only. 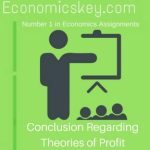 From the total receipts of the business must be taken out what has to be paid out 10 the various factors of production engaged on a contract basis. Thus, the rent of land, the wages of labour, and interest on capital have to be a deducted out of the total income of the entrepreneur. Apart from pure profit, the following are the main constituents of gross profit: (i) Interest 011 Entrepreneur’s Own Capital. The entrepreneur could earn this interest by lending his capital. We must, therefore, make a deduction out of gross profit. for interest on the entrepreneur’s own capital, at the current rate of interest in order to ascertain net profit. (ii) Rent of Land Owned by the Entrepreneur. This rent cannot be counted as profits. The entrepreneur could earn this rent by giving his land to a tenant. A deduction must, therefore, be made, out of gross profit, for this rent at the current rate of the rent of land similarly situated and possessing similar other advantages for calculating net profit. (iii) Entrepreneur’s Wages of Management or Superintendence. This is the return for the work done by the entrepreneur as manager, and could have been done by him on a salary basis for another firm. This is also included in gross profit. The entrepreneur must be allowed a salary, which should be considered his wages rather than profits. The above three elements, strictly peaking, are not the reward of the entrepreneur as such but he gets them as capitalist, landlord and manager. These he could earn without setting himself up as an entrepreneur. These are included in gross profit and must be deducted for finding out the net profit. (iv) Reward of The Entrepreneur as Ri. ktar, The function as a risk-taker must be performed by the entrepreneur himself. Certain risks. ho ever, are insurable. risks of accident, fire and marine, etc. But, as we shall see, many risks cannot be insured, and these must fall on the entrepreneur. (I’) Gains as Superior Bargainer. Certain gains accrue to the entrepreneur when he bargains with labourers, capitalists, landlords, suppliers of raw materials and consumers-all those with whom he has dealings. These gains he makes owing to his superior skill in bargaining. They are also mixed up with gross profit. (vi) Monopoly Gains. These gains are due to .imperfect competition, which enables the entrepreneur to charge higher prices or to pay lower reward to the factors hired by him and thus increase his profits. They. too, form part of gross profits. (vii) Conjunctural Gains. 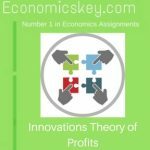 Another element contained in gross profit are the conjunctural gains. 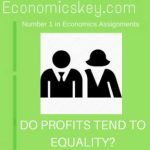 They are also called “windfall profits.” These are due to favourable circumstances or pure luck, e.g., outbreak of a war giving high profits to producers of essentials of war and even to other producers. During the second world war, many entrepreneurs “lade enormous profits due to war demands and high prices in India and elsewhere. Sudden rise in price is not the only source of windfall profits. They may also arise on account of sudden increase in demand due to non-monetary causes like changes in tastes or discovery of new uses of a product. Windfall profits will also emerge from a shift in population.